The desire to publish short, high quality papers continues to increase, and so we’ve revised our procedures for our Fast Track Communications. 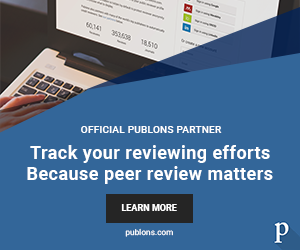 We know how important it is to get the right referees for your paper, and for review times to be as short and painless as possible. So we’ve appointed some leading researchers to form a new Editorial Panel, who, in collaboration with our pool of expert referees, will make sure that JPhysA publishes the best short papers and gives good, fast service to all authors. Denis works in statistical physics and field theory, where a shared mathematical language describes both human-scale processes like water percolation and abstract models of string theory. He has received the Paul Langevin Prize of the Société Française de Physique. Leticia studies various aspects of the dynamics of glassy systems, those without long-range order. She has been awarded the Paul Langevin Prize of the Société Française de Physique. Patrick has a long history with the journal, having filled various roles on our Editorial Board since 2004. His main interests are integrable quantum field theory and statistical mechanics. Peter works on quantum simulations, Bose-Einstein condensates and the fundamentals of quantum information. He has been awarded the Massie Medal and the Boas Medal of the Australian Institute of Physics. Matthias’s work is centred around string theory, holography and conformal field theory. Antti’s interests cover a diverse range of mathematical physics and statistical mechanics, including renormalisation group methods, conformal field theory and turbulence. He was president of the International Association of Mathematical Physics from 2012 to 2014. Joel researches various areas of theoretical condensed matter, including topological phases, spin transport and non-equilibrium dynamics of quantum many-body systems. Hal’s research derives statistical physics from the dynamics of quantum systems. Arkady was the section editor for our field theory and string theory section from 2009 to 2014. He works on the connections between gauge theories and string theory, and was awarded the IOP’s Rayleigh Medal in 2011. A Board Member since 2010, Paul works on theoretical condensed matter physics, non-equilibrium statistical mechanics and integrable models of quantum field theory.